A journey of a thousand miles starts with a single step, says the Chinese proverb. Presumably, a road map would be helpful, too! In our first podcast, we started off on our exploration of history, mystery and writing and promised to provide just such a road map. And what better way to do that than to highlight what we are reading now on our journey? 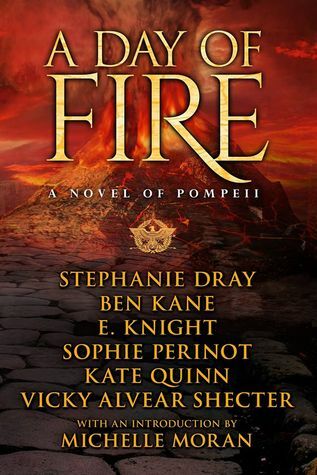 So, in our second podcast, we share our favorite stories from Day of Fire, a collection of short stories set in Pompeii during the eruption of Vesuvius in AD 79 (you can read our reviews here and here). The collection is edited by Stephanie Dray (who is the author of the Cleopatra’s Daughter series set in ancient Egypt). Also referenced in our podcast is Kate Quinn’s Mistress of Rome series. 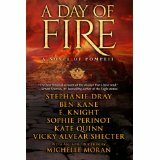 If you have read Day of Fire, let us know what your favorite stories are. And if you haven’t read this collection yet, make sure to add it to your reading list, and make up your own road map. The beauty of this particular journey is that there are many road maps to choose from! Here are the authors from this collection. While townsfolk go their daily way. To the end of their years. Is what you will cherish. I found it quite riveting! Names all too often conjure vivid images in our minds. When these are the names of places – real or mythical, historical or present day – these images can get richer still. For me personally, few can compete with what the single word Pompeii brings to mind. 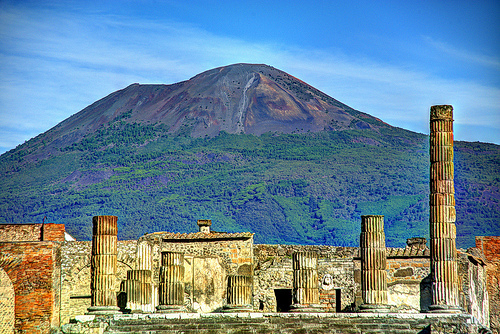 Visitors to Pompeii are witness to a day, from nearly 2000 years ago, frozen in time. A tableau of people, not unlike ourselves, homes and an entire town, frozen. Even today many years after my first visit to Pompeii my mind and heart are filled with so many questions and a sadness for lives interrupted and stories untold. Nearly 2.5 million tourists visit Pompeii every year – a sign that it holds a unique fascination in the minds of people the world over (compare this with the 3 million visitors to the Taj Mahal and the 4 million visitors to the Colosseum in Rome each year). What happened in the course of a single day in 79 AD captivates the imagination not just because of the suddenness and violence of the catastrophe, but equally because of the sheer humanness of the spectacle. What makes Pompeii such an interesting subject for both writers and readers is the number of unanswered questions that surround it. Did it indeed take place in August of 79AD as Pliny the Younger wrote or later that year? Who are the people – nobility, commoners or slaves whose bodies have been frozen in place by the volcanic ash at the time of their deaths? Why were they there that day and what were their stories? The ruins of Pompeii are a preternaturally preserved snapshot of a day in the life of ordinary folk from centuries ago – but a day unlike any other, a day that ended tragically for the inhabitants. This is the world that Pliny the Younger tries to describe in his letters about the event and the way in which it claimed his own uncle, Pliny the Elder. And this is the world that the six authors of Pompeii — A Day of Fire try to imagine as they recount the unfolding of that fateful day through the eyes of their all too human protagonists. As Vesuvius erupts and an avalanche of pumice stones and ash engulfs the town, every one of its residents is affected – some die instantaneously, others perish while trying to escape, and a lucky few miraculously survive. The six stories follow their respective actors – young men and women, legionaries and senators, mothers and priestesses, patricians and slaves – in an interwoven tale that shares a common time span and backdrop. Each of them has their own personal story arc, which inevitably intersects with some of the others (being townspeople caught up in a common tragedy), and each story comes face-to-face with the same violent reality. There is a visceral sense, in this anthology, of drama, impending peril, and nature’s raw force. Against this backdrop, the characters are etched so sharply, that they almost congeal into the real-life plaster casts from the archaeological excavations. It is not hard to imagine “the beggar,” “the pregnant mother,” or “the slave,” being among the characters featured in these stories. Of course, present-day research raises its own questions providing future writers – especially of historical mysteries – ample room to dream up their own answers. 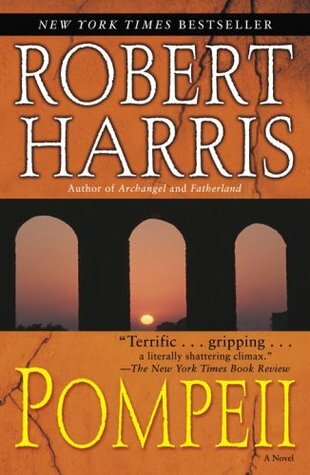 Until then, Pompeii – A Day of Fire provides a great read for fans of history and fiction to get a sense for a day unlike any other in the lives of ancient Pompeiians.